Manufacturing Automation Solutions - Allied Automation, Inc. Designing, building, implementing, and maintaining a production system is a stressful and complex process. Allied Automation can help. We’re a full-service high-technology distributor, with deep engineering expertise as well as partnerships with brands like Festo, Mitsubishi, Moxa, and Universal Robots, so you know you’re getting the right manufacturing automation solutions. Click on each solution below to see how it happens. From shrink wrapping to blister packs throughout industries as diverse as medical, food and beverage, and general retail, reliable packaging is crucial for the final presentation of a product as well as its safety. We use our partnerships with top automation brands like Mitsubishi and Wago to deliver the best solution for you. Allied Automation can help solve packaging problems with solutions including tension and motor control, pneumatics, sensors, and PLCs. We provide technical support and customer service before, during, and after the sale, and we’ll do it onsite. You can also get training on various packaging topics to make sure you get the most out of your solutions. To learn more, see the case studies to read more about practical applications and their individual product descriptions. Feel free to browse all of our partners and contact us on how we can create the perfect solution for your factory. From feeding to off-loading to palletizing, the converting process is complex. For many products, especially high-volume ones and large, heavy ones, it’s nearly impossible to do by hand. A fast and robust conversion system, with simple functionality for operators’ ease of use, is ideal. We partner with top automation brands like Mitsubishi to ensure we deliver the best solutions for your specific needs. From tension and motor control to load cells and sensors, Allied Automation can help. We provide technical support and customer service before, during, and after the sale, and we’ll do it onsite. You can also get training on various converting topics to help get the most out of the latest technology. Whatever you’re producing, there are two things that every assembly automation system must have. It has to be fast enough to churn out product to meet demand and beat your competitors. But that speed cannot come at the price of accuracy – the system has to be precise to ensure product quality. Whether you’re streamlining operations in a refurbished system or building from scratch, speed and accuracy are critical. We leverage our partnerships with top automation brands like Festo and Mitsubishi to deliver solutions for your problems. From electromechanical actuators and pneumatics to robotics and motion control, and industrial PCs and PLCs, Allied Automation can help. We provide technical support and customer service before, during, and after the sale, and we’ll do it onsite. You can also get training on various assembly automation topics to help get the most out of the latest technology and processes. To learn more, see the case studies to read more about practical applications and their individual product descriptions. Feel free to browse all of our partners and contact us on how we can create the perfect solution for your factory. Manufacturing processes require precise management of a wide array of inputs and actions. Every part has to function properly – each valve, each sensor – and the system has to be able to process a lot of information quickly in order to allow operators to make sure it’s running properly and efficiently. Our partnerships with top automation brands like Moxa, Secomea, and Iconics mean that we can deliver the best solutions for your problems. From valves and sensors to transducers and network construction, Allied Automation can help you. We provide technical support and customer service before, during, and after the sale, and we’ll do it onsite. You can also get training on various process automation topics to help get the most out of your new technology. Your first priority has to be the safety of your workers and operators. An automated system can be faster and more efficient than any other, but if the risk of injury or fatality is too much, it’s worthless. Thankfully, production doesn’t have to be sacrificed at the hands of safety. Our partnerships with top automation brands allow us to deliver the best solution for your unique situation. Allied Automation can provide anything from light curtains to safety switches to motion detection, all from a range of brands. You’ll get technical support and customer service before, during, and after the sale, and we’ll do it onsite. You can also get training on various safety topics to help make sure you have the knowledge to protect your team. Every part has to go in exactly the right place, whether it’s a pill or a gear. Your automated system has to get the job done right the first time, every time, and if there is a mistake, there has to be a quality control system to catch it. Failure isn’t an option. We use our partnerships with top automation brands like Mitsubishi to deliver solutions for your problems. From machine vision and sensors to pneumatics, actuators, and vacuums, Allied Automation can help. We provide technical support and customer service before, during, and after the sale, and we’ll do it onsite. You can also get training on various process automation topics to help get the most out of the latest technology. Here’s snapshot of some of the products we work with to craft the solution that’s right for you. To properly operate your system, you need to know what’s going on inside. You need data, and the ability to process and sort that data to get answers. It’s the only way to allow the full capabilities of your machines and systems to shine and boost production to maximum levels. Whether you want to boost your ability to gather KPIs and OEEs or improve energy and facilities management, Allied Automation can help. Our partnerships with top automation brands mean we can deliver the best solution for your unique systems and setup. You’ll get comprehensive technical support and customer service before, during, and after the sale, and we’ll do it onsite. You can also get training on various enterprise visualization topics to help you get the most out of the latest technology and methods. A lot of unusual things come up in the world of manufacturing, particularly when it comes to automated systems. Unless you’re an expert or a genius, a new problem can really be difficult to solve. Whether it’s specialized knowledge you lack, or simply that a new perspective on the situation is needed, outside help can be the only answer. Allied Automation offers a wide range of standardized training sessions, but if you can’t find an answer in any of them to your unique situation, we’ll build a custom program to meet your needs. 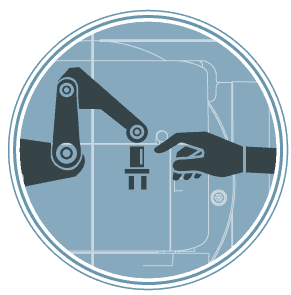 We can provide guidance on pneumatics, robotics, positioning systems, motion controls, and more. And we’re always on top of the newest technologies, so no matter what, we can help you get the most out of what you have.